A man, of no fixed abode, has been sentenced to seven years’ imprisonment for armed robberies. 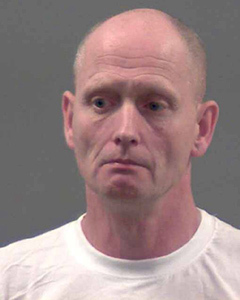 Robert Grogan, 50, was found guilty after a trial at Bournemouth Crown Court on Friday 4 October for two armed robberies and two offences of possession of an imitation firearm with intent to commit robbery. He was sentenced today, (9 October) at the same court. The court heard evidence that an armed robbery occurred at the Co-operative store on Cranleigh Road in Southbourne on 12 January 2013 and at Saufland Stores on Saufland Place in Christchurch the following day. A black imitation firearm was used during both incidents and cash was stolen. No one was injured. Detective Constable Neil Third, of Bournemouth and Poole CID, said: “These incidents were extremely distressing for the victims and will have an impact on their lives from some time to come. I would like to thank them and the witnesses for their support.